A sincere passion for design, craftsmanship and aesthetics was the essential element in the foundation of ferm LIVING back in 2006. From their base in Copenhagen, they have developed a distinctive and confident design during the years bringing life and beauty to your home. They create contemporary designs with a touch of mid-century charm in line with their Scandinavian design heritage. It's part of their DNA to take care of the origin of their products so they produce everything in line with the traditional craftsmanship’s with a keen eye for detail and a minimal impact on the environment. 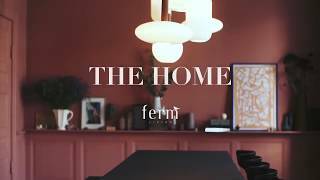 We already have some of the Ferm living range online and will be adding more over the next few days so keep an eye out online here!